Looking for the perfect finishing touch for your room? How about an easy refresh before fall? 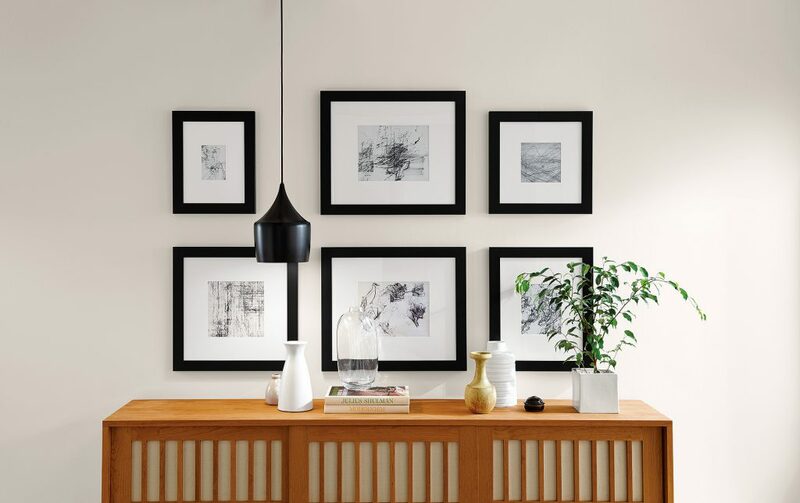 Creating a frame wall is a great way to incorporate art, photos and personality. Take a different approach to the classic gallery wall by breaking out of the grid. Create an inspiring visual by using various sizes and finishes with our modern, American-made frames. Each frame is handcrafted in solid wood or steel, with gallery-worthy matting and twice-washed glass. It’s the easiest way to add a timeless, sophisticated look. For more frame inspiration, check out our gallery.